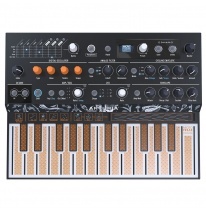 Beware - this is not your average synth. It‘s small, it‘s weird and it‘s amazing! A true “touch of Madness”, as creators introduce it themselves. MicroFreak‘s digital sound engine combines digital and wavetable synthesis with physical modelling and and runs everything through an analog filter which can even auto-oscillate. 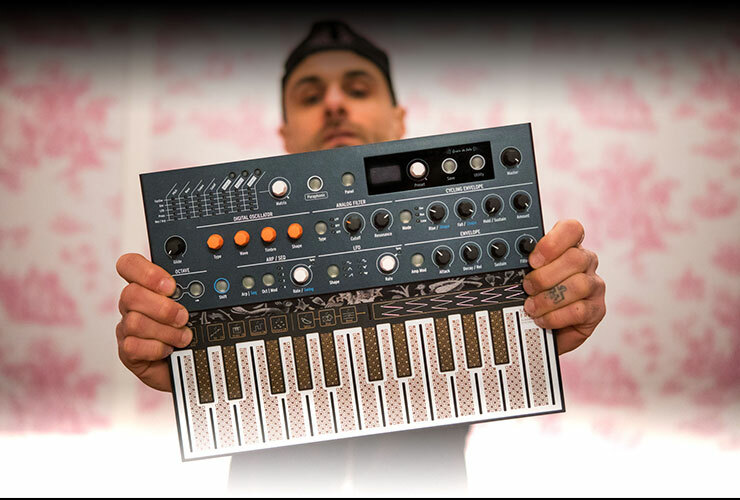 Almost every modern synth nowadays has an LFO, Arpeggiator and Step Sequencer, but MicroFreak, in addition, has a 5x7 Modulation Matrix with 3 user-assignable destinations and Spice and Dice function to randomize your programed sequences. However the most eye-catching MicroFreak feature is the keyboard. No mechanic, moving keys are present in this device. Instead, a super expressive, pressure sensitive PCB touch-keyboard with poly-aftertouch was introduced for the note input, and, according to Arturia people, it even allows you to play faster than on a regular keyboard.